King wrote the 1986 bestseller “It”, which tells the story of a supernatural being that appears as a clown. “Hey guys, time to cool the clown hysteria – most of ‘em are good, cheer up the kiddies, make people laugh,” King wrote on Twitter. The prank craze began in the United States and has since spread to other countries. British police have taken the unusual step of issuing a warning after a spate of creepy clown sightings across the country. 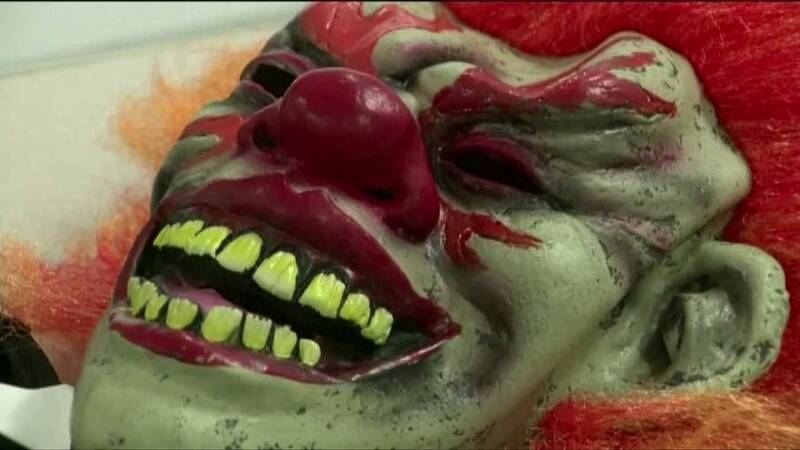 Police forces say they have received dozens of reports of so-called “killer clown” sightings in the last week. Individuals dressed in clown outfits sometimes carrying knives have been seen acting suspiciously or have chased people, often young children. Have you spotted creepy clowns around town? When did the clown sightings start? In August, in the US state of South Carolina. Police received reports of clowns standing silently by roadsides, near shops or trying to lure children into the woods with bags of money. The latest creepy clown sighting took place in Roseville in Michigan last Thursday. Two scary clowns jumped out and chased two 14-year-olds. Two 18-year-old women were arrested and charged with disorderly conduct. Some think it may be part of a horror film publicity stunt, others say it is an elaborate hoax propagated by social media. Some think King’s 1986 novel could be the inspiration. The novel tells the story of a supernatural being that appears as a clown to terrorise the residents of a small town in Maine in the US. Where have the clowns have been seen? Police say the sightings in the UK have so far proved harmless but nonetheless frightening. Durham – four children aged 11 and 12 were followed to school on Friday by a man dressed as a clown and carrying a knife. Thames Valley Police – said on Sunday it has been called to 14 spooky clown incidents in the previous 24 hours. Clacton-on-Sea – Two girls were approached by two clowns who asked if they wanted to go to a birthday party. Other sightings have been reported near schools. There have also been reports of sightings in Australia and New Zealand. “We believe this to be part of a much larger prank which is currently sweeping across the USA and parts of the UK,” – Sergeant Mel Sutherland, Durham Police, UK. Clowns can also be cute.